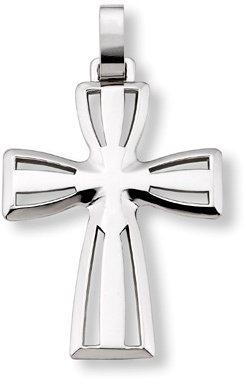 High Quality, 14K White Gold Men's Cross Pendant. Cross measures 1 1/2" tall and just over 1 1/8" across. Pendant measures 2" tall with hoop/bail. Cross pendant weight: approx. 6.1 grams.